“What must be called the scientific establishment rose in arms, not only against the new Velikovsky theories, but against the man himself. 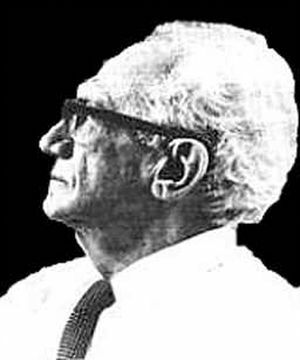 Efforts were made to block dissemination of Dr Velikovsky’s ideas, and even to punish supporters of his investigations. Universities, scientific societies, publishing houses, the popular press were approached and threatened; social pressures and professional sanctions were invoked to control public opinion. There can be little doubt that in a totalitarian society, not only would Dr Velikovsky’s reputation have been at stake, but also his right to pursue his inquiry, and perhaps his personal safety.”Alfred de Grazia, (Editor) The Velikovsky Affair, 1st ed. 1966, 2nd ed. 1978, with contributions by Ralph Juergens, Livio C. Stecchini, Alfred de Grazia and Immanuel Velikovsky. 1. ↑ Alfred de Grazia, (Editor) The Velikovsky Affair, 1st ed. 1966, 2nd ed. 1978, with contributions by Ralph Juergens, Livio C. Stecchini, Alfred de Grazia and Immanuel Velikovsky.